Eurosceptics are lining up in praise of the defiant vote, but the fallout for Swiss people could be devastating. The supposed victory of the Swiss David over the EU Goliath has been applauded by Geert Wilders of the Dutch far-right Freedom Party (PVV) and in France by Marine Le Pen’s National Front. The Eurosceptic FPÖ in Austria and the Alternative für Deutschland (AfD) are also now demanding that voters in their countries should have the same say on EU matters, particularly immigration. Switzerland, however, is a poor model for these countries to emulate. The Swiss don’t need an EU exit because all they have is à la carte bilateral accords with the union. 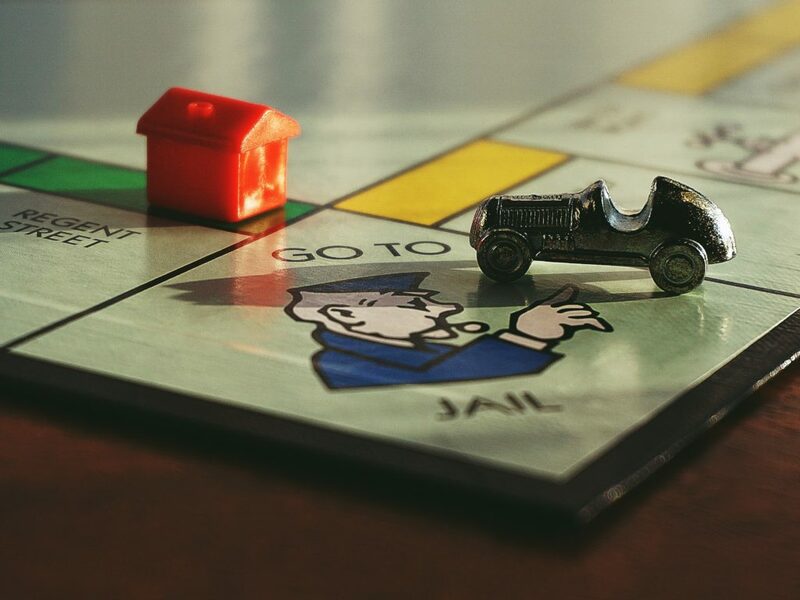 The free movement of citizens was the bitter pill the right had to swallow for goodies such as participation in EU research programmes, transit agreements, or police and asylum co-operation. Thanks to the latter, Switzerland can, for example, repatriate asylum seekers to EU countries. If Britain, the Netherlands and other countries think they can break away from the EU while cherry-picking the bits they still want, like the Swiss have, they are dreaming. 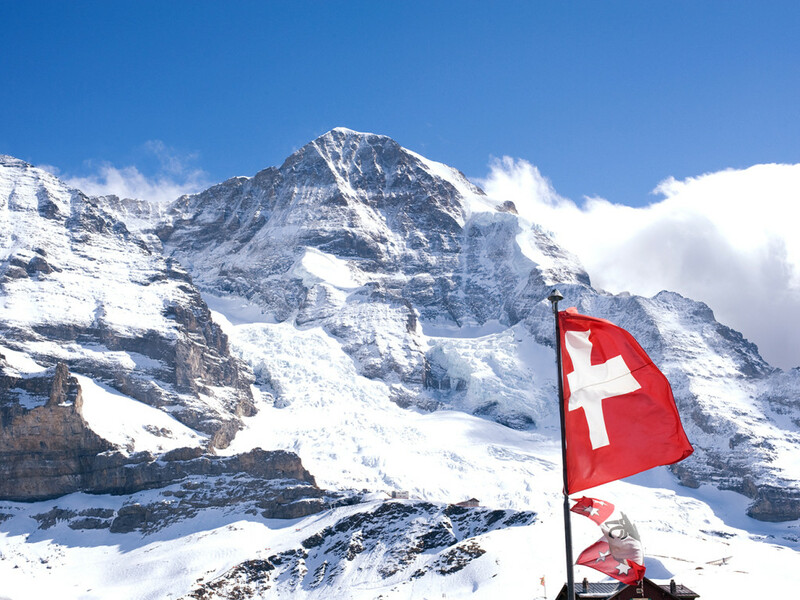 Switzerland could only ever opt for an all-or-nothing agreement – with a guillotine clause. This means that if one bilateral agreement is broken, as far as the EU is concerned all the rest is invalid too, and the fallout is potentially devastating. The Swiss business community, our hospitals, schools and colleges, tourism and the building industry which rely on an EU workforce are appalled. Students who benefit from EU exchange programmes and the energy sector which wants to sell its storage capacity to the EU all now fear that their future is called into question. To see Switzerland as a role model for autonomy or the repatriation of sovereignty is a misjudgment of the reality. The more bilateral accords Switzerland gathered, the clearer it became that Switzerland was merely enacting EU law in a „self-governed“ way. Autonomy was an illusion. 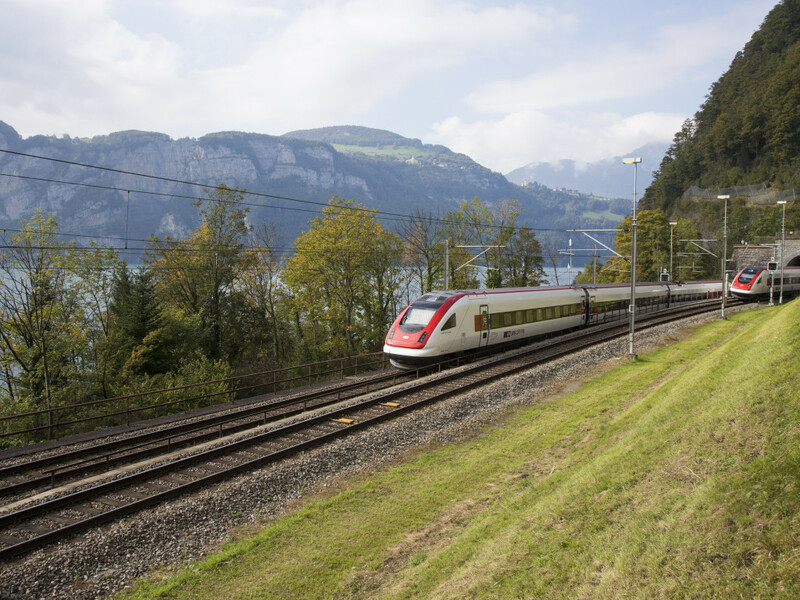 In 2012, the council and the commission of the EU made clear to the Swiss that no new bilateral agreements would be possible unless Switzerland took on board all future EU reforms and developments. Since then, Swiss demands for a bilateral agreement on services and energy have stalled – and now there will be no accord anytime soon. Of course, Blocher and his followers still believe that the EU will give us a helping hand whenever we need it. But what EU governments want from Switzerland is tax on the undeclared money of their citizens deposited in Swiss banks. Blocher’s story of the poor peasant who opposes the foreign king is, in the face of Swiss wealth, ridiculous. The Italians whose workers are no longer welcome in Switzerland now say they want the tax being hidden by Italians in Swiss bank accounts – and if necessary they will name and shame tax dodgers like Germany does. If anything Switzerland should be a bad model for EU countries. 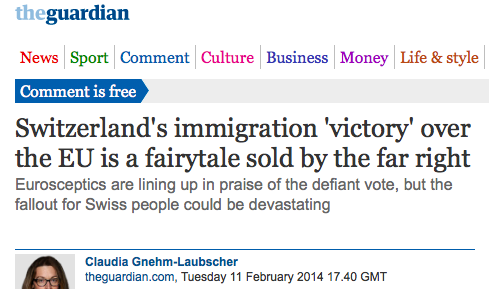 It was not only ultra-conservatives in the Swiss-German countryside who voted in favour of ending EU immigration. It was also the many workers, faced with competition from cheaper migrant labour, commuters in overcrowded trains and middle-class families who can no longer afford flats in the cities. Yet these moderate voters – they are estimated to account for 20% of the yes voters – received little to calm their fears. They wanted rent controls, measures to guard against wage dumping and minimum salaries. But there was no clear support from employer associations, the companies that profit most from the free movement of workers, nor the government. So their perfectly rational concerns were exploited by the fear campaign waged by the rich Pied Pipers of the right. There are many more such Pied Pipers going around Europe with easy, popular solutions, including the scapegoating of immigrants, in an attempt to win the votes of those with justifiable fears. Switzerland has an unemployment rate of 3.5%; there is a lot to lose.